At Pavement Solutions Inc, we have been serving property owners in our community for more than 23 years, and we couldn’t be prouder of the strong reputation we have earned. We have collected testimonials from some of our satisfied clients in Pickering and the Durham Region. It is our hope that you will be filled with the confidence to tackle your own project after hearing what people are saying about our team. If you are one of our satisfied customers, we would love to hear from you! Contact us to submit your own testimonial and be featured on our website. 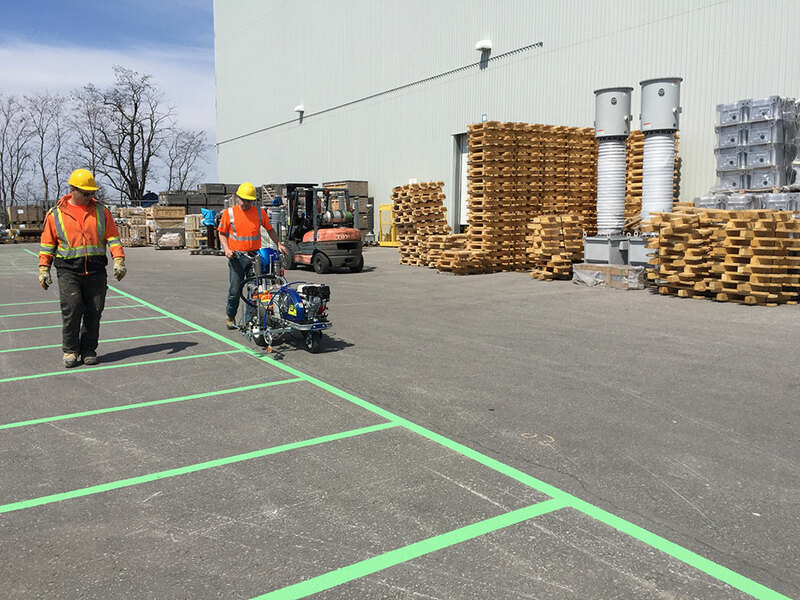 "Pavement Solutions have performed asphalt repairs, asphalt paving and line painting at our properties in Toronto, St. Catharines and Welland. They addressed potential safety issues in our parking lots, recommended the best solutions for repair/replacement and increased our curb appeal. When considering asphalt work and line painting, Pavement Solutions should be at the top of your list. I fully recommend their work to any property owner/property manager. I would like to thanks Pavement Solutions for their professionalism, hard work and excellent results!" "Greg, thanks for the excellent service." "I hired Greg and the guys at Pavement Solutions to re-paint our parking lot lines, along with crack sealing work. They showed up on time and completed the job in no time. They were very professional and a pleasure to work with. Since the first project I've continued to use them on all our properties." "When time was short, Pavement Solutions came in to save the day. We can’t thank you enough for getting our school yard games painted in such a short time. We have received nothing but positive feedback from staff, parents and most importantly students. Knowing you stand behind your services and products 110% is why I would recommend Pavement Solutions to any school. We look forward to many future projects with Pavement Solutions." "Thanks again for looking after the hot rubberized crack sealing that we need over here. You were right about the seal-coating as well - It really improved the look of the property. I appreciate it very much. I also wanted to thank you for taking care of the repairs and line painting at my church. That parking lot was in terrible shape, and I know that their budget was tight. You gave them a lot for the money, and I know that they were really happy with the value. The church needs some new metal signs for the handicap parking area, so I will be in touch again soon to discuss those. Thanks again for the great service." "Thanks again for having your crew fix the disastrous line painting job that the other contractor did last year. Everyone had been complaining to ME about it and it was great to see the old uneven lines ground off and replaced with PROPER straight lines! Great job. Please pass along my thanks to John and the guys for a great, professional job. Thanks again!" "Pavement Solutions took care of some asphalt repairs and crack sealing on our property. They did a great job and will certainly use them for any future work." "Thank you for installing the rubber speed bumps. It has already made a big difference. I also like the location of the new crosswalk your crew painted. It is in a much better location now." "Pavement Solutions was hired to layout and paint some colourful playground games at my children's school. Their team completed the work on the arranged date and did a great job. The kids loved the cool games." "John and his crew did a great job sealing the cracks in our parking lot. Health and safety is such a big concern over here, so it was great to see the crew in full PPE. Very professional. Highly recommended."